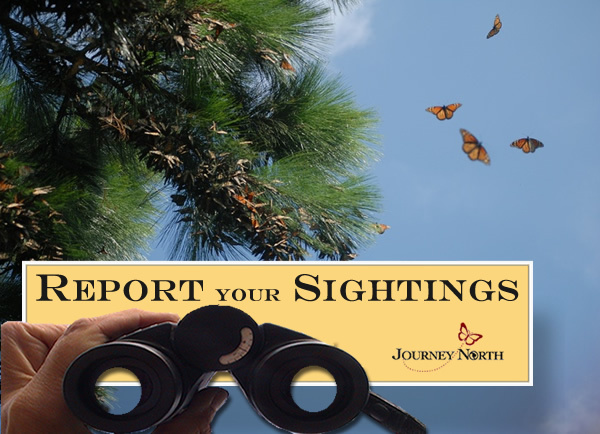 Sightings of southbound monarchs, intense nectaring, and the first overnight roosts are being reported. 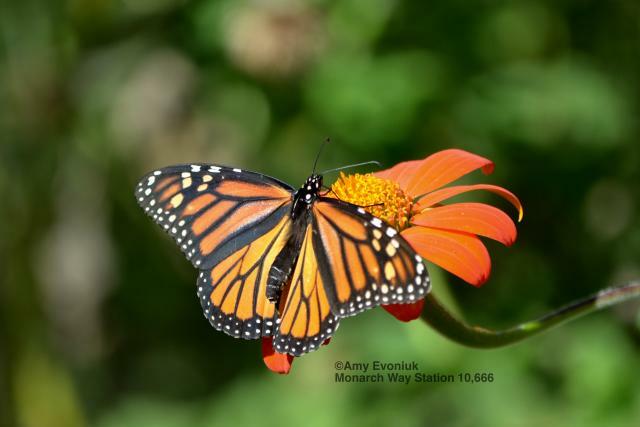 At this time of year, monarchs change dramatically in physiology and in behavior. 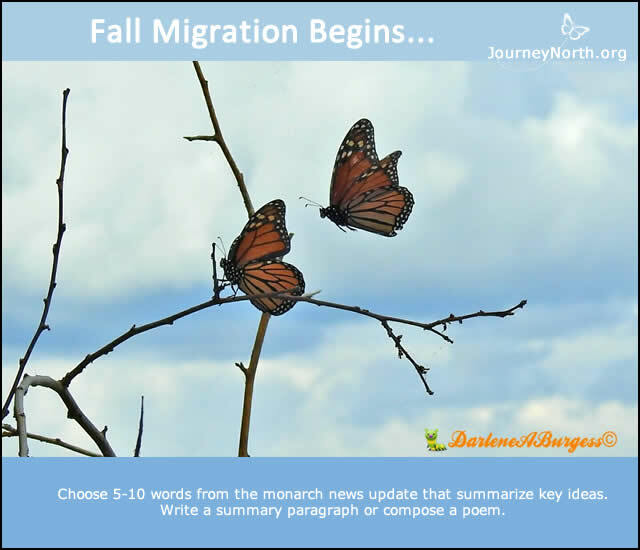 Declining day length is the central cue that triggers the monarch's migratory state. In the northern breeding range photoperiod is falling by 20 minutes this week. This sends the signal that it's time to go to Mexico. The same hormone deficiency that leads to diapause also leads to increased longevity. 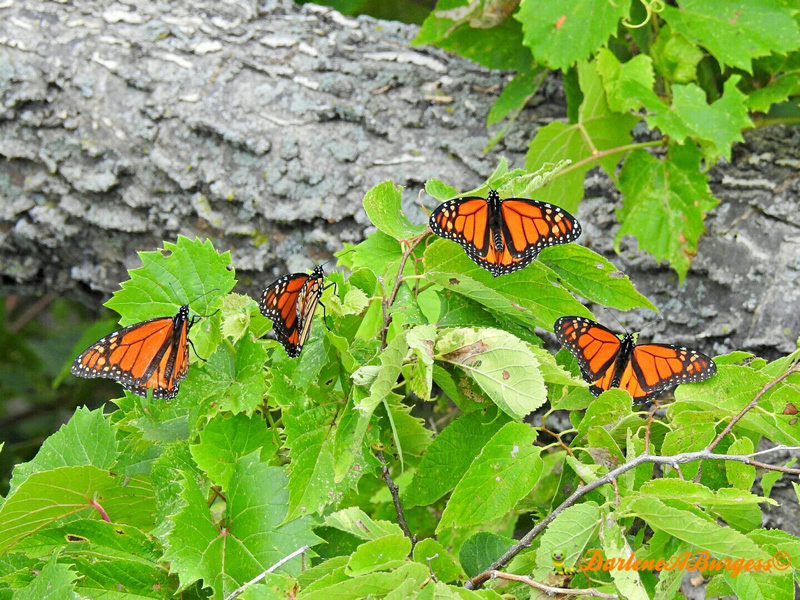 Summer monarchs live only 2-6 weeks; migratory monarchs live up to 8 months. Fall migration 2016 is underway. 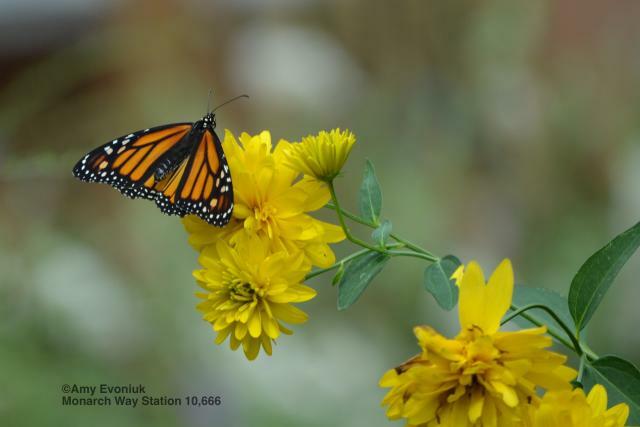 Please share your sightings and help tell the story of the monarch's long journey to Mexico. 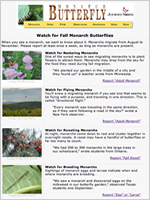 When you see a monarch—nectaring, flying, roosting, or breeding—we want to know about it.